​Our class is a three-session preparatory course to help prepare you for the NYS Court Officer Exam. The class will cover each section of the NYS Court Officer Exam including remembering facts & information, reading, understanding, & interpreting written material, applying facts & information to given situations, clerical checking, court record keeping and questions addressing personality traits that are associated with successful performance of law enforcement duties. ​Our classes will also give you information on the entire hiring process including the background investigation, physical ability test, psychological evaluation and oral interview. Make sure you read through any FAQs and meet the minimum requirements to become a NYS Court Officer. $429.00 for our 3-session preparatory course. Payable with Non- refundable deposit of $169.00 the balance of $260.00 is to be paid in the first class. We will have classes available in Suffolk County, Nassau County, Queens, Brooklyn, Staten Island and Westchester County. 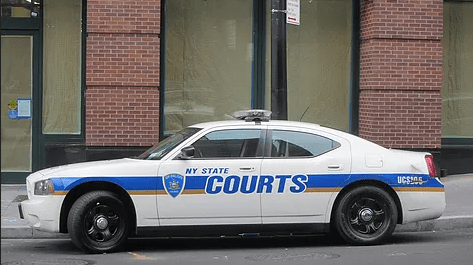 If you’re looking to become a court officer in New York City, Westchester, Nassau or Suffolk Counties sign up for our prep classes for the civil service exam. We provide professional training and preparation for police exams and the NYS Court Officer exam at affordable rates. In order to take the exam to become a NYS Court Officer Officer Exam you must be at least 18 yrs. old . You will not be appointed to the job however; until you are 21 years of age. There is no maximum age for this exam. Must be a resident of New York State.